Is IE11 supported? I can’t find the problem that is causing this. Please help. Hi there @ekeller - We are taking a look at this right now to see if we can identify the problem. In the meantime, I did want to make sure that you know that sharing a permalink is safe since only New Relic staff can access those URLs. I appreciate your commitment to security! Thank you very much @hross for taking the time to investigate this! I knew the permalink could only be see by staff, thanks for confirming it, I also extended the period. If you can’t reproduce the problem can we please open a ticket an share the url and whatnot? Also just FYI, we have 292K events, for 2.1K users on Sentry for this one. Hey @ekeller ! It’s no problem to move this conversation into a private ticket. One you get all sorted with our Support Engineer’s help, will you please follow up in this thread for the benefit of the community? I for one would love to hear what solution you come to. IE11 can be a… a thing. Look out for my email! Was there any solution found for this issue? Hey @Ori.Levitan - I took a look at your account, and from that, your site. 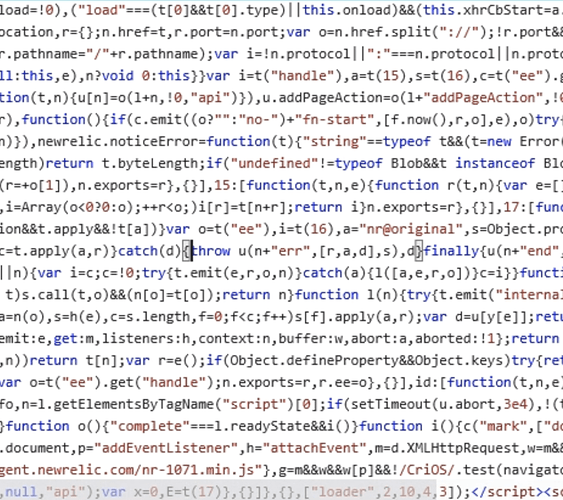 On the log in page I viewed page source and I can see that you are calling the New Relic script incorrectly. Firstly the script is being called from an external JS file, rather than copied directly into the <HEAD></HEAD> tags. 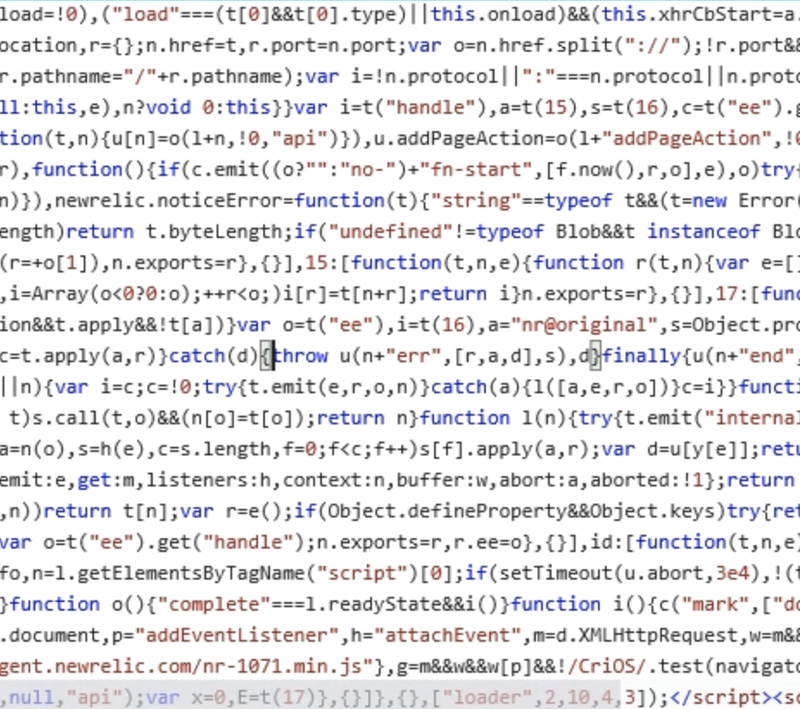 Secondly, it seems like you are not pulling in that JS in the <HEAD> Tags. This can cause anomalous - unsupported behaviour. Our recommendation is to have the JS snippet as close to the top of the <HEAD></HEAD> tags as possible. Can you look into testing with that and let us know if you still have issues with IE?